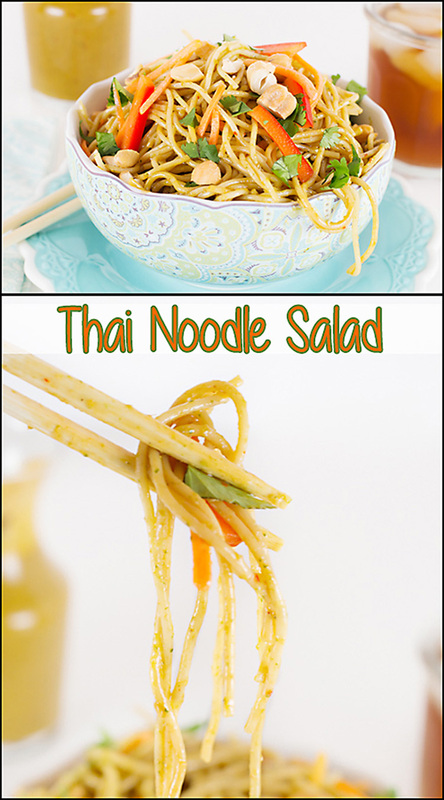 I recently served this Thai Noodle Salad at a baby shower I hosted and it was a huge hit! The tender pasta was dressed with a flavorful, but not heavy dressing, and the veggies and cashews added a freshness and texture. I was a bit leary to serve a “pasta” salad, but since we were already serving a spinach salad, assorted fresh veggies and dip, fruit, a caesar salad w/salmon, along with a few different types of finger sandwiches, I needed something a bit different. It turned out to be a great choice! I guess ladies still eat carbs. I got this recipe from a friend many years ago and as delicious as it is, I’ve only made it a few times. I think, with the low carb craze, I haven’t served many pasta salads in the last few years. 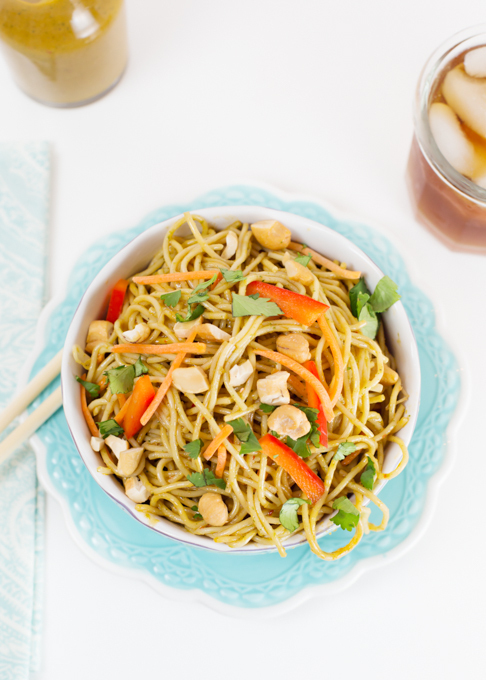 I’m so glad I decided to dig out this recipe and remake this Thai Noodle Salad. The original recipe that I received, makes a HUGE amount. We’re talking 3#’s of pasta and a lot of dressing. I’m going to half the recipe for you, which will still make a large portion of salad. If you’re a lover of Thai flavors, I think you’ll also want to try my Thai Peanut Chicken Wraps or Quinoa Bowls. My original "salad" recipe did not include amounts. 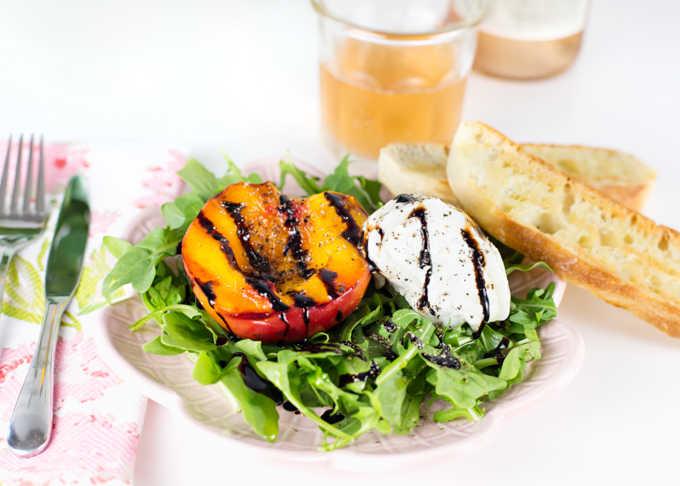 Add as much or as little of the fresh veggies and cashews to the salad as you like. The dressing recipe is per original recipe. Place all ingredients into bowl of food processor or into blender. Cook pasta according to package directions. Strain and slightly rinse (I never rinse too much because I think the starch of the pasta water helps the dressing to adhere to the pasta). While pasta is cooking, grate carrot, chop celery, slice bell pepper, chop cilantro, and rough chop cashews. When pasta is finished cooking an slightly cool, add dressing (you might have a little extra). Gently mix in veggies and chopped nuts. 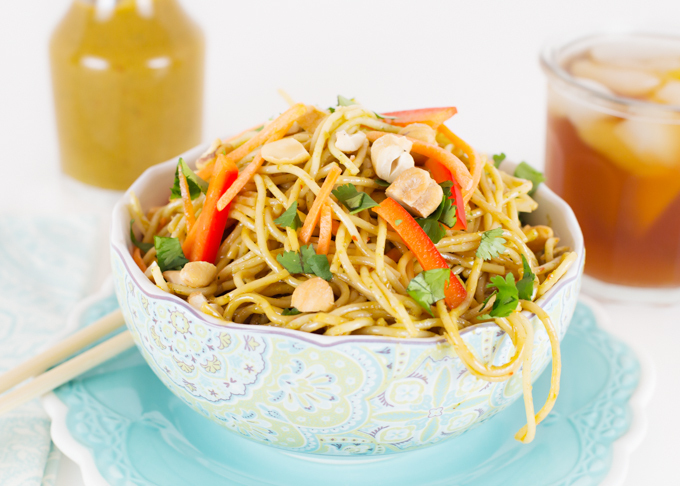 Before serving, garnish with additional chopped cilantro and chopped cashews. 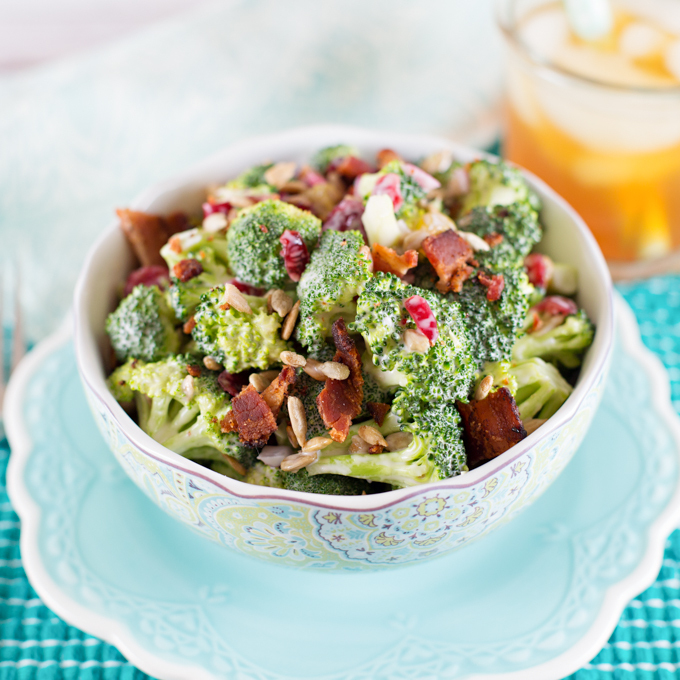 I love how full of flavor and easy this dish is! Pinned. 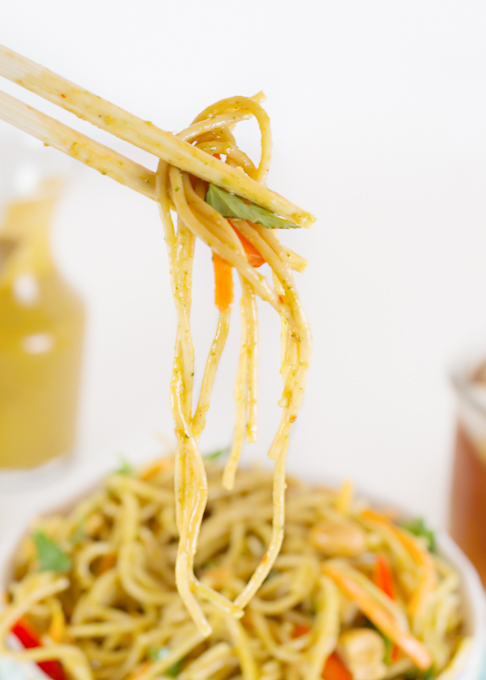 lovely..i love noodles..your recipe sounds delicious..very nice pics! So simple but great flavor. 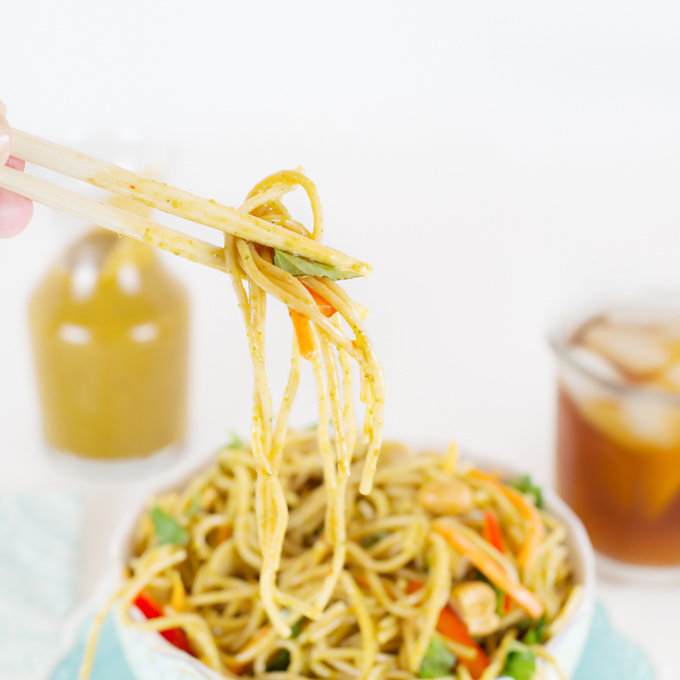 I love noodles and all the different ways to make dishes with them. Oh man why have I never added nuts to my Asian dishes for a crunchy texture?! 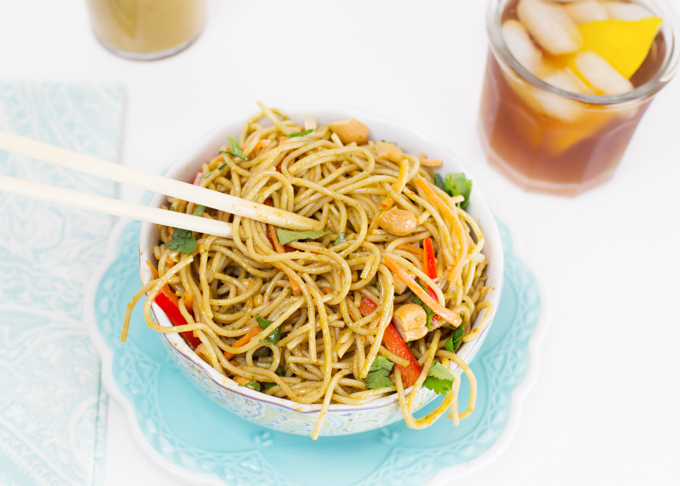 This looks amazing and I’m totally adding cashews to my next noodle dish! Yum.. I love noodles. 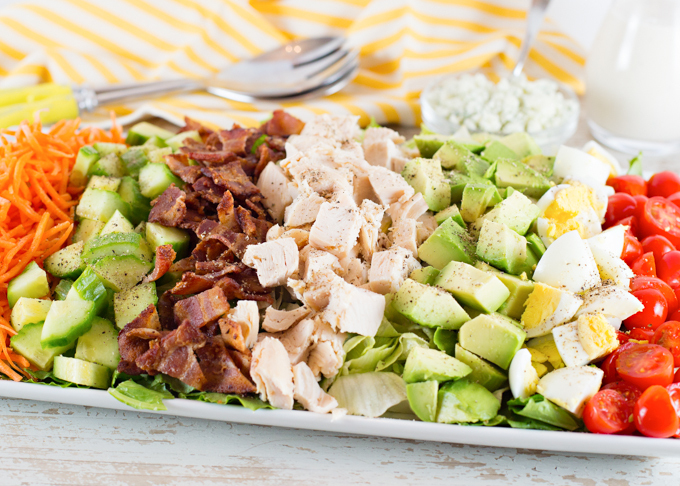 This looks light but packing so much flavor. Thanks for sharing this.